Telus has announced its Q1 2017 earnings, revealing that the carriers’ revenues have soared while its overall subscriber base has declined over the last three months. Specifically for its wireless business, Telus’ revenues increased by $100 million or 6.4 percent from Q1 2016 from subscribers using more data. As a result, its blended ARPU (average revenue per user) increased by 3.9 percent to $65.53, which the carrier highlights as its “twenty-sixth consecutive quarter of year-over-year growth.” Wireless revenues now account for 56 percent of Telus’ total earnings. Telus now has a wireless subscriber base of 8,576,000, up 2.3 percent Q1 2016, but a from Q4 2016 by 9,000 subscribers. Telus also has 7,594,000 postpaid subscribers and 982,000 prepaid subscribers. Monthly postpaid subscriber churn of 0.93 percent declined by four basis points year-over-year. 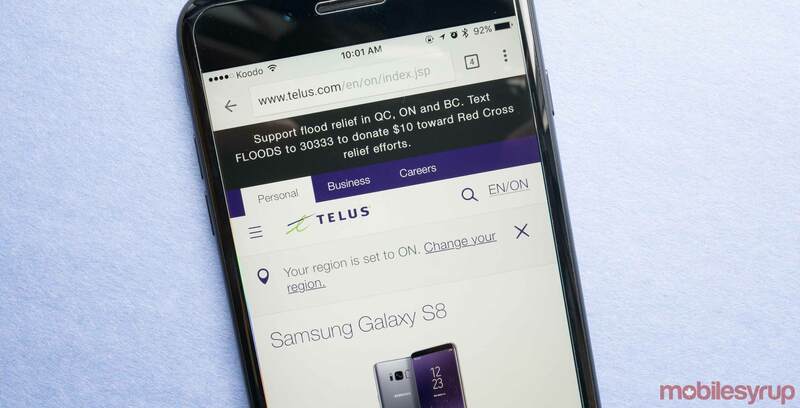 Telus’ main competitors recently reported their quarterly earnings with Bell raking in wireless revenues of $1.814 billion CAD, with a total of 8,946,476 wireless customers. In addition, Rogers Q1 2017 wireless revenues hit $1.968 billion CAD and saw its subscriber base jump to 10,292,000.